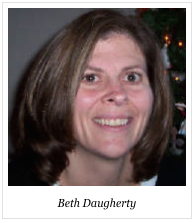 This is an interview with Beth Daugherty, Executive Director of the Christina Phipps Foundation. This foundation was founded in 2010 in memory of Christina Phipps, a Jacksonville yoga instructor who found great physical and emotional comfort from her yoga community. After her first round of chemotherapy and a clean report, Christina wanted to give back to her community. She developed a unique form of gentle yoga specifically for cancer patients. She offered these yoga classes for free to people living with cancer. She received much acclaim from the community and a large following. Shortly before her death in 2010, she was still leading as many as 12 yoga classes a week. Today, the foundation continues to carry out the work begun by Christina -- recruiting qualified yoga teachers, organizing trainings for them, coaching these teachers through the certification process, and assisting in locating appropriate volunteer placement so that each yoga teacher can serve the cancer community. Rob: How did you become a yoga teacher, and what motivated you to work with cancer patients? Beth: I have a confession to make: I began taking yoga classes in the early 1980s hoping to get easy PE credits in college. Throughout college, the Peace Corps, and graduate school in my 20s, I continued learning yoga. I was never the thin, flexible yogi you see in the ads, but it definitely cleared my head. Later, in my 30s, still plugging away at learning yoga and meditation, I was shocked to be asked to serve as President of the Board of the local yoga society. It seemed a job for a yoga teacher or certainly someone more advanced than I, but I happily accepted, jumped into it and enjoyed the challenge. This volunteerism inspired me to enroll in a full-time residential seva program. Karma yoga, seva, volunteerism, and yoga service are used interchangeably, but I think it is important to recognize the difference between them. Karma Yoga (outlined in the Bhagavad-Gita) is focused action with detachment from the result. Seva, also called selfless service, refers to action for a higher purpose other than just meeting your own needs. Volunteerism is more "secular," recognizing that selfish motives, like padding your ego or resume, can be part of the package. Yoga service programs may include one or all of these. I went from a management job with a beautiful office to cleaning toilets in a yoga center in another state. I moved from a lovely, private city apartment to a bunk bed in a drafty dorm room with 50 other women. We cleaned full-time, and then had the opportunity to do all the yoga we could fit in our schedule, learning from gifted teachers. I completed this seva program and was invited to do similar residential seva programs in two other yoga centers. This was a rare immersion experience in seva and karma yoga. Lessons I learned about karma yoga in the 1990s became part of my life and yoga practice. I never really thought I would be a yoga teacher but nearly three decades after my first yoga class I completed teacher training, and with great trepidation opened Lifespan Yoga®. I did not plan on doing volunteer work, and promoting karma yoga (now that I had commercial rent to pay), but that all changed, too. 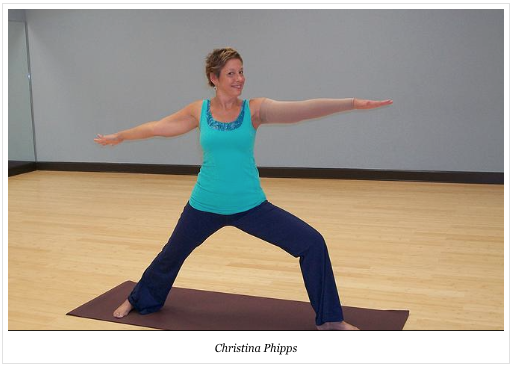 I was in business less than a year in 2010 when a friend asked me to attend a free Christina Phipps Foundation training to learn how to teach yoga to cancer patients. After the training the foundation asked each person to teach free yoga classes to patients. I immediately said no because I did not know very much about cancer. Then a board member from the foundation called and told me all about Christina and the classes she taught until her death from breast cancer. I was impressed, but declined again. A few days later, the wife of a board member called me at home to again invite me to the training. Three times is a charm; I told her I would be happy to attend the training and commit to teaching cancer patients. My first training session with the Mayo Clinic doctors was a sweeping medical overview. The presentations blew my mind; the information presented about cancer diagnosis, new treatments, and recovery was all new to me. Everyone there was volunteering their time: surgeons, oncologists, physical therapists, social workers, cancer survivors, and a little band of yoga teachers ready to translate all this information into gentle yoga classes in a safe and healing way. I went back to my tiny yoga studio, made a flyer for the free cancer class and posted it in a coffee shop. I thought cancer patients coming to my yoga class would be very weak and may not be able to get up and down from the floor, so I immediately signed up for Chair Yoga certification. What really happened was quite different. A woman I knew from church walked in first and I had no idea she was in treatment -- she looked fabulous and fit. She brought great energy, and helped grow the class to become part-cancer support group and part-yoga. Cancer classes with Foundation (CPF) students have a social and support group element, whereas studio classes can often be anonymous. My teaching style is pretty much the same whether I am in the studio or medical facility, but yoga studios have a range of props that are especially helpful. Most hospitals do not have this advantage, so there is some creativity needed in teaching without props. Also, in our CPF classes we do not touch or adjust students. This is quite a change for yoga teachers who were trained in styles with a lot of adjustments. We train teachers to use their speech to guide and adjust. I hope the future of service yoga is based on the ideal of "selfless service," and karma yoga. All of the roles we embody are opportunities for service or selfishness. This is the challenge of our age, and yogis have a history, structure, and practice to address this. I hope yogis who want to practice (or lead) service yoga will learn about karma yoga and seva. Find a mentor who has a personal karma yoga practice. Coaching and mentoring by yogis with seva experience can reduce attrition. Nothing happens overnight, and a good mentor will help when it gets hard. Just like any yoga program, some people quit and the opportunity is lost; some do just the bare minimum and move on; then the rare gems continue on year after year, and reap the benefits. Strong, ethical leadership for service programs is always needed. If you are a leader, get karma yogis together to share experiences and advance learning. This elevates the practice.